Microsoft's speedy development of its Office 365 platform can overwhelm administrators with the steady arrival of new applications, updated features and revised methods to control these releases. Keep current with changes to Office 365 compliance tools and the optimal techniques for SaaS management with our expert articles, advice and tutorials. You may be due for an upgrade! 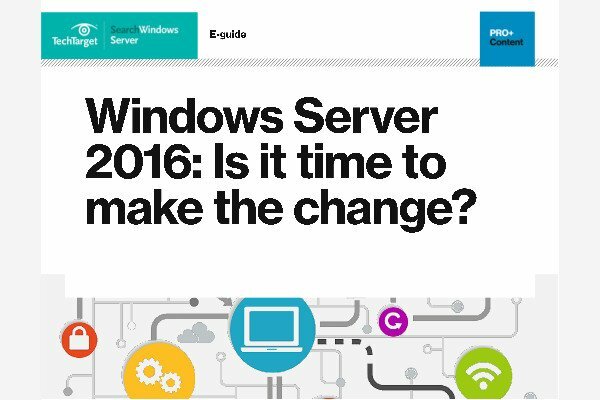 Check out our full Windows Server 2016 Buyer's Guide to see if a switch to the new server would be the best move for your organization. Microsoft's new Office 365 E5 plan offers features applicable across the organization. But some of the new functionality isn't useful to all, and some features bring controversy. Customers who recently upgraded to Office 2016 were in for an unpleasant surprise after Skype for Business was uninstalled from their machines. Office 365's new features encourage workplace collaboration with upgrades to file sharing in email and telephony services. Clutter, one of the newest Office 365 features, learns email habits to help end users create more space in their inboxes.